Honinbo Shuho (本因坊秀甫, or Murase Shuho, 村瀬秀甫, born Murase Yakichi 村瀬彌吉, 1838 - 14 October 1886) was a Japanese, professional 8-dan. He became the 18th head of the Honinbo house in 1886, and was acclaimed 'unofficial Meijin' from at least 1882 to the time of his death. He wrote the classic Hoen Shinpo, and founded the Hoensha. He is known for his strong attacking style. At the age of seven Shuho became a student in the Honinbo house and was awarded the rank of 1-dan. Under the tutelage of Honinbo Josaku and then Honinbo Shuwa he attained the rank of 6-dan in 1861 -- rising to become the second strongest pupil behind that of only Honinbo Shusaku. After Shusaku died, in 1862, Shuho became the head pupil and was expected to become heir of the Honinbo house under Honinbo Shuwa. However, Honinbo Jowa's widow blocked this idea and despite Shuho being substantially stronger than other pupils of the house he was passed over as heir in favor of Tsuchiya Shuetsu (Shuwa's eldest son). In compensation Shuho was given the rank of 7-dan in 1864, allowing him to participate in the Castle Games. For several years Shuho waited to participate, but the Castle Games did not occur. Realizing the state of affairs, in 1872 he decided to leave to travel Japan with his semi-younger brother Hayashi Shuei. For the next three years they stopped at various locations to play Go with the locals and each other, while developing a lifelong friendship. In 1879, Shuho & Nakagawa Kamesaburo founded the Hoensha -- an important forerunner to modern Go organizations and publisher of the newsletter Igo Shinpo. The formation of the Hoensha appeared to directly threaten the traditional iemoto system that Shuho's friend, Shuei, was still very much dedicated to. Following a series of disputes, the two experienced a falling out with one another. While leading the Hoensha Shuho wrote his magnum opus Hoen Shinpo, a major work of opening theory and game commentaries. 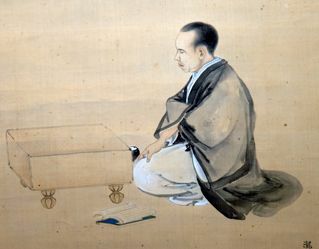 In the book Shuho describes the style of fuseki that had dominated the Meiji era (up to the writing of the book) and the relationship between joseki & fuseki. In 1886, Shuho participated in a reconciliation jubango with Honinbo Shuei, wherein he was promoted to 8-dan and given control of the Honinbo house as the 18th head. By this time he had come to completely dominate his contemporaries, forcing them to the handicap of the black stones. Unfortunately, he died suddenly (possibly of a stroke) less than three months later at the age of 49. 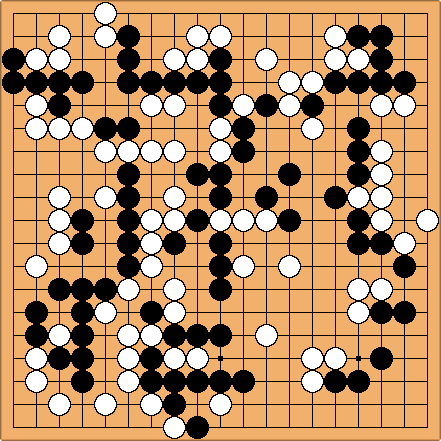 Shuho played with a very strong attacking style and his games often ended with the death of a group of stones. He mixed subtlety in both placement and timing, both helping to facilitate a natural and constant flow of attacking. He also invented many josekis. Modern players have compared his style to that of Rin Kaiho. Shuho participated in a large number of jubangos. 1884-6 Honinbo Shuei, Murase Shuho 5-0-5 Reconciliation match, turned into jubango. See Shuho's Opening Theory for additional information. The last castle game was held in 1863, between Hayashi Hakuei? and Yasui Sanei. From the GoGoD entry on Shuho. One of the first Westerners to seriously learn about Go. In the Go Players Almanac of 2001, Shuho may be difficult to find. The Almanac is slightly inconsistent with its definition for entries on p.202 (w.r.t. chapters 10 & 11): Shuei is in , Shuho is not. However, there is one column on him on page 82 (John Power: "Go Players in the Edo Era"). The majority of Hoen Shinpo is available on the GoGoD website, the remainder is contained on the CD. GoGoD's entry on Shuho says that Fujisawa Hideyuki considered Shuho his mentor.